Zeus Trojan has been around for a few years now. It is one of the most active trojans which is in constant state of further development. The last varient of Zeus (ZBot) was found a few months back which was named version 2. Zeus Trojan steals personal information from the infected PC/system. But now a new version of Zeus trojan (Version 3) has just been found which is inflicting major damage in the United Kingdom (UK). 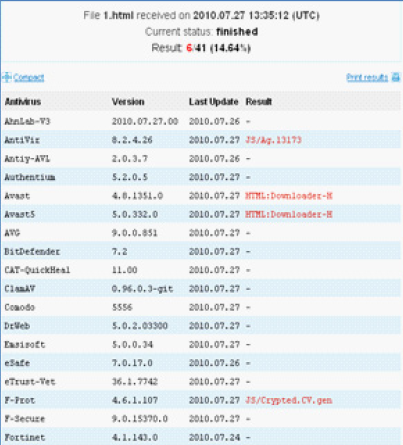 While the previous versions of Zeus Trojan were caught by most of the antivirus companies but this new version is very hard to get caught. The picture shows that only 4 antiviruses were able to detect the Zeus trojan version 3. Let’s take a look at how this trojan works. 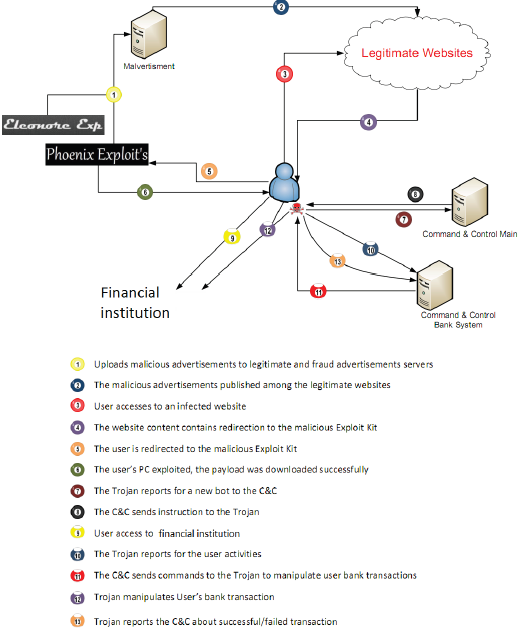 The picture below shows the whole process of Zeus trojan working. For those who want to go through this process deeply, here’s the pdf file that will help explain the whole process of this trojan. Till now there is no fix for this trojan (Atleast I have not been able to find one). Most of the antivirus companies are also not able to detect this trojan. So what can we do to minimize the damage done by this trojan? Also make sure that you don’t download anything from unknown websites. One technique used by Zeus trojan is getting the infected file downloaded through advertisements. Make sure that you don’t click on advertisements until you’re sure that the advertisements are legitimate. I have already written about how to block advertisements in Internet Explorer. If you’re using Firefox, you can use Adblock Plus extension. I will post about a permanent fix of this trojan as soon as I get one. If anyone has a fix or some advice for the infected users, kindly share through comments below. We are conducting a training class for our member credit unions on how to protect themselves from fraud and to let them know of the latest schemes so they can be aware. May we use your graph above of how the Zeus process works in our power point? Sure you can use the graph above. It’s taken from the report I’ve mentioned.